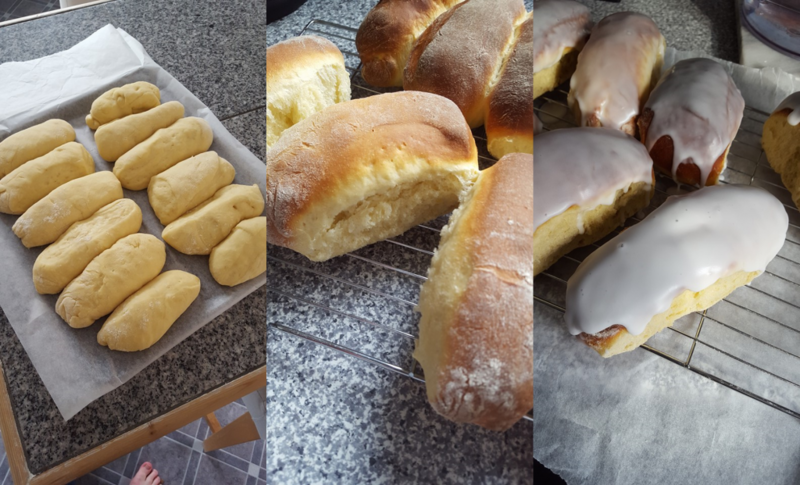 So the recipe I used is on BBC Food by GBBO overlord – Paul Hollywood for Iced Fingers. 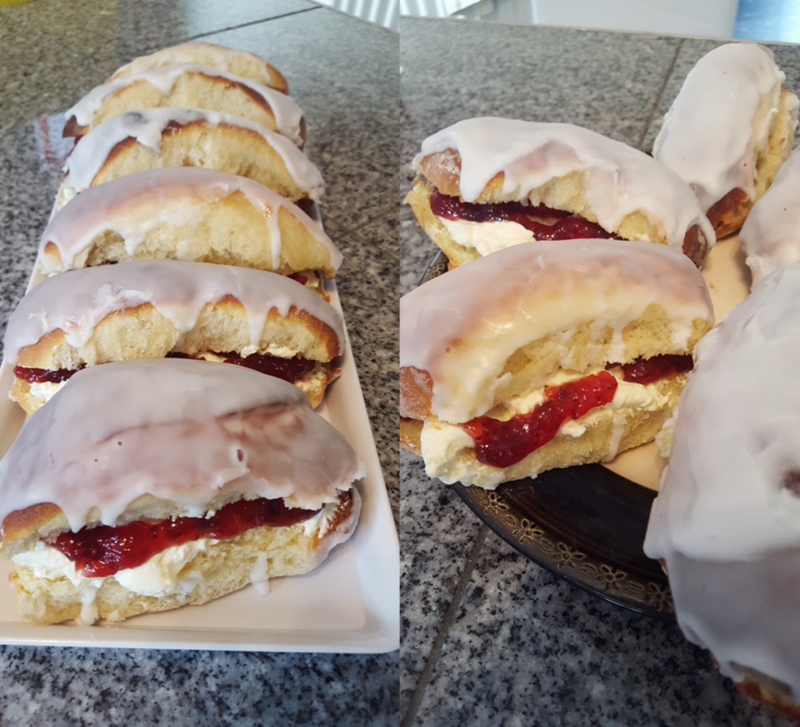 I decided to fill with fresh cream and my Grandma’s home made strawberry jam. Look! 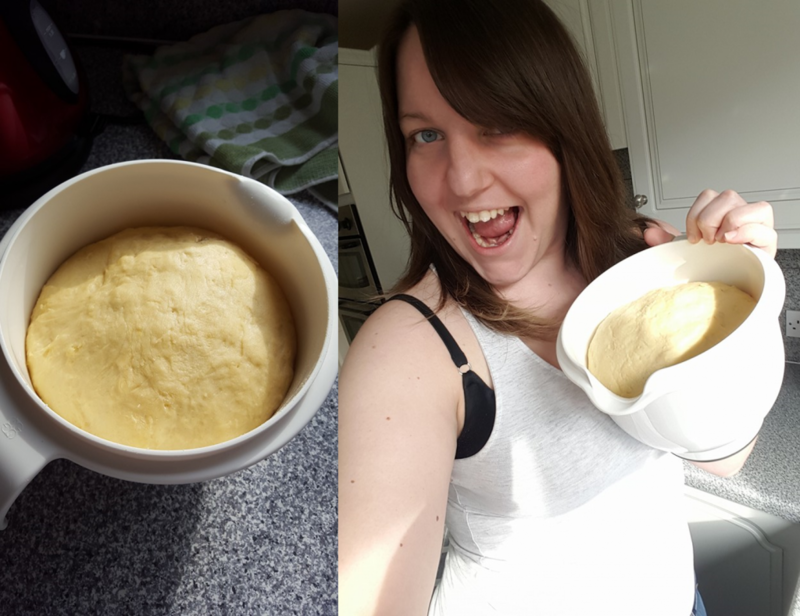 I made dough for the first time!! The recipe then told me to make sausages and bake. How difficult could that be? Then you had to cut, and fill… messy but so worth it!! And the verdict? My dad loved them!! BIRTHDAY CAKE SUCCESS! To make the dough, place all the ingredients into a large bowl, holding back a quarter of the water. Stir the mixture with your hands, then slowly add the remaining water to form a dough and knead in the bowl for four minutes. Divide the dough into 12 pieces, each about 70g/2½oz, then roll into balls and shape into fingers about 13cm/5in long. For the icing, sift the icing sugar in a wide bowl and gradually stir in the cold water to form a thick paste. Dip the top of the cooled fingers into the icing, smoothing it with your finger, then leave to set on a wire rack. Lightly whip the cream and spoon it into a piping bag fitted with a small nozzle. Spoon the strawberry jam into another piping bag. Sliced the iced fingers horizontally, leaving one long edge intact. 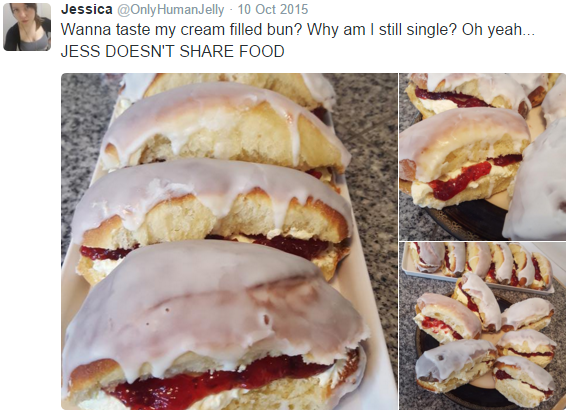 Pipe in a generous line of whipped cream into the middle of each finger, then a thinner line of jam. Dust the iced fingers with icing sugar and serve.